The Avengers roster includes greats like D-Man and Blade, but it's time they classed up the joint! 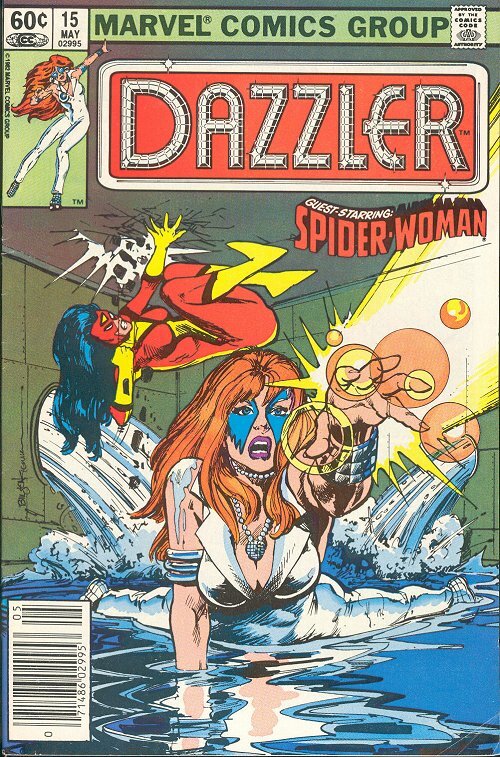 Caseyjonescaseyjones made it clear the team should drop Scarlet Witch, how about giving Dazzler the chance to assemble? First things first, people like to dismiss Alison Blaire as a product of a bygone era. By the time her eponymous comic hit its stride, Disco had gone the way of the doornail. But the fact is, she was a pop princess before she was a superhero, so mirrored roller skates or not, she had a legion of loyal fans in the Marvel Universe before she came out as a hero! And what about her dazzling powers? On the surface, all she does is convert sound into light. Innocuous enough, sure, but that's just the surface of the roller rink. She doesn't just turn sound into light - she absorbs sound. The more she stores, the more powerful she is, and she can store a lot of sound for a long time, meaning she can release the soft glow of an LED or the intensity of a pulsar flare at any given time. She can also absorb sound so quickly and so completely that she can nullify all sound from a room - the perfect way to stop relentless monologing. And what does she do with that light she generates? She can blind people, alter the intensity and frequency of light to subtly alter someone's mood or even paralyze them, and create realistic holograms. Sure, you say, playing with light is great, but how is that threatening? Laser is made of of light. She blasts beams of super hot light that cut through obstacles and melt bullets. She can also create hard light, science be damned! With it her blasts can become non-lethal concussive shots and - in an alternate reality at least - she can conjure massive hard light creations to battle enemies for her. Dude, everyone needs more Alison Blaire in their life. Did I mention she's a pop star? Sure, Dazzler has been with the X-Men for over 30 years (off and on) but she got her start on the solo circuit, in fact, she had one of the first and longest-running female-centric Marvel superhero comics. There she made a lot of friends in and out of the X-verse. She's tight with the Inhumans, the Hulk (including the She-variety), Spider-Woman (and her counter-distaff counterpart), the Angel, Luke Cage and Iron Fist! Heck, she was so close with Beast the two of them canoodled for a four-issue mini! Plus, look at the powerful villains she fought off: Dr. Doom, Enchantress, Galactus, Rogue. Seriously, she fought Rogue - other heroes were put out of commission for years after fighting Rogue. 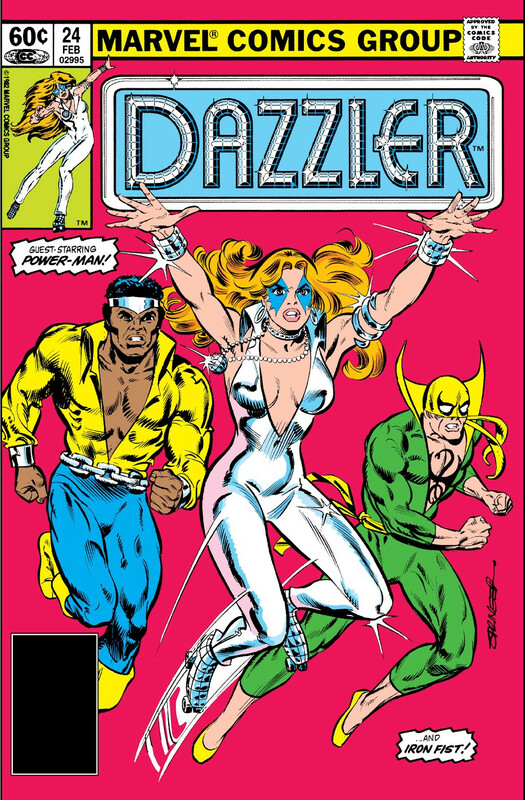 Oh, and before Iron Man, before Blade, even before Howard the Duck, Dazzler was supposed to be Marvel's first big budget movie star! She should make up for lost time by hanging with the Avengers. And yes, she's black in this image. 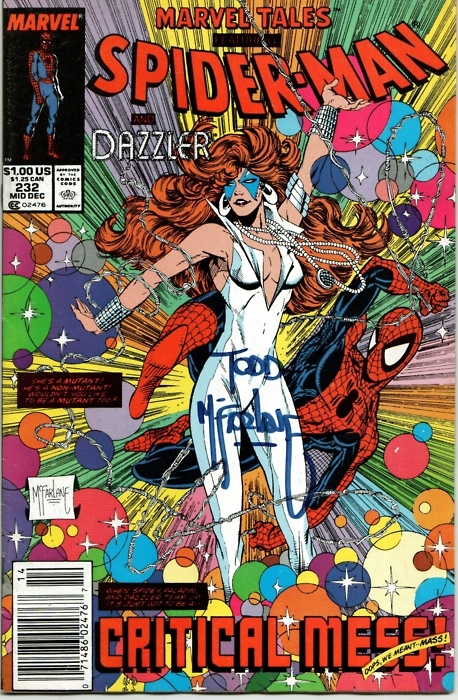 When Dazzler was first created, Marvel was shopping her around Hollywood, so she went through various designs depending on which actress a particular producer wanted to see with superpowers. Marvel finally split the difference and made a comic book adaptation of a movie that never got made. People keep looking for Marvel's Wonder Woman, and the usual suspects always get mentioned: Spider-Woman, Storm, She-Hulk, Invisible Woman and Captain Marvel (with the latter having the greatest claim so far). But, all of these heroes are either the female-version-of or irrecoverably tied to a team to the point that they have to prove themselves as solo heroes. 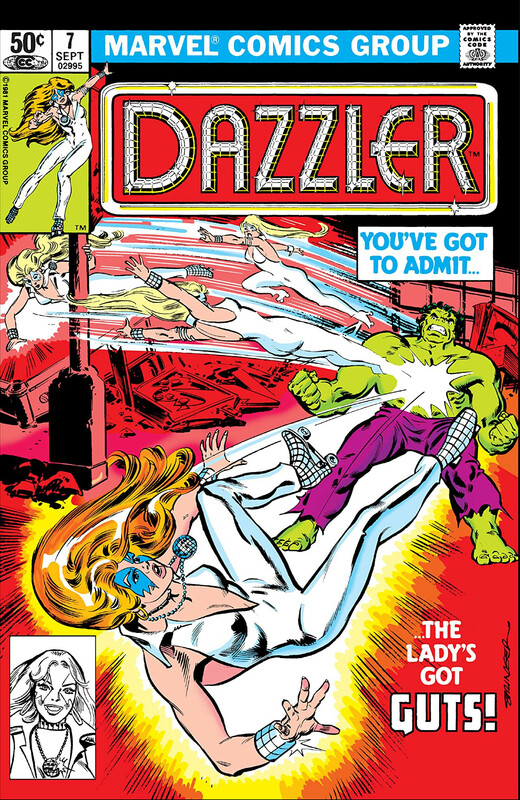 Dazzler, on the other hand, was a solo star first, and she became a major part of the Marvel Universe before she joined any team. Plus, she gives cosplayers an excuse to wear roller skates.